The Brewing Forum • View topic - Baine Marie 2.75Kw Element Thermal Cut Out Removal. Baine Marie 2.75Kw Element Thermal Cut Out Removal. 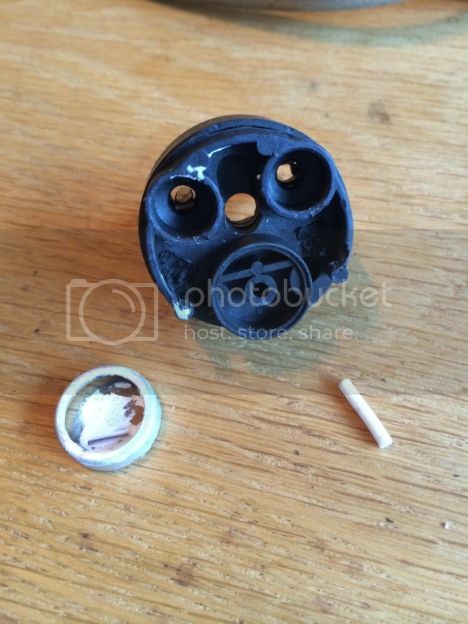 Step 1: Remove the screw that holds pin in. 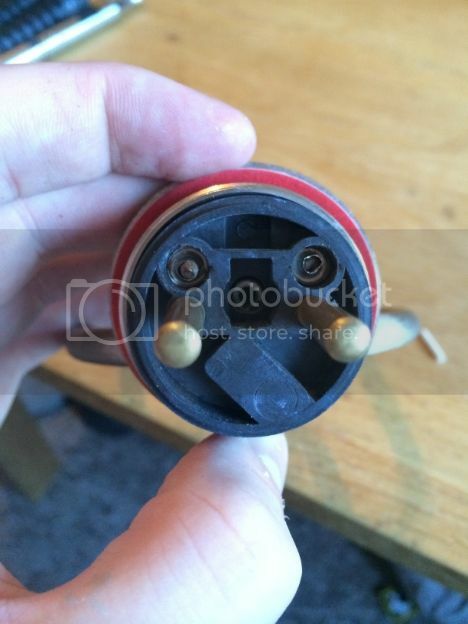 Step 2: Gently pull the plastic bit away from the element, be careful not to lose the 2 small bits holding it together. Gently work the little holder thingy's back on with a sharp knife or some such device. Step 6: Screw the pin back on and job done! Fit to your vessel and your ready to go. 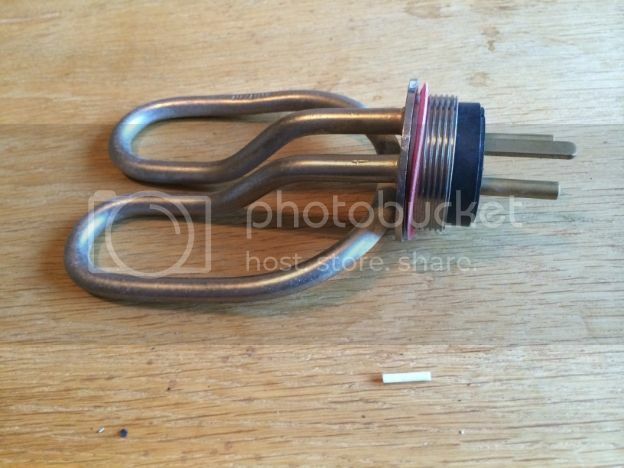 Re: Baine Marie 2.75Kw Element Thermal Cut Out Removal. No problem mate, happy to have been of service. Thanks for the how to. I tried this on mine but there was no pin in it. I can only think that it was already removed and perhaps i was sold a second hand one or something. 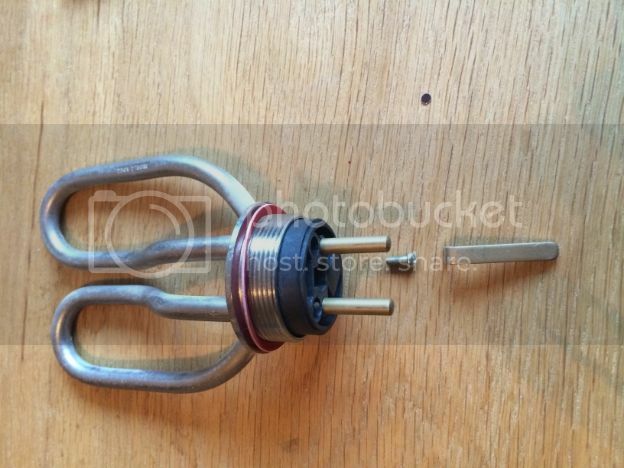 In case ive totally cocked up, if i had a brew day and it cuts off during the boil, is it ok to use my hob to complete the boil with the turned off element still installed within the pot or would that cause any damage to it? Its worth mentioning that many elements have this cut out installed so its worth checking and removing. LeithR wrote: Its worth mentioning that many elements have this cut out installed so its worth checking and removing. Thanks, hopefully it's just that then. 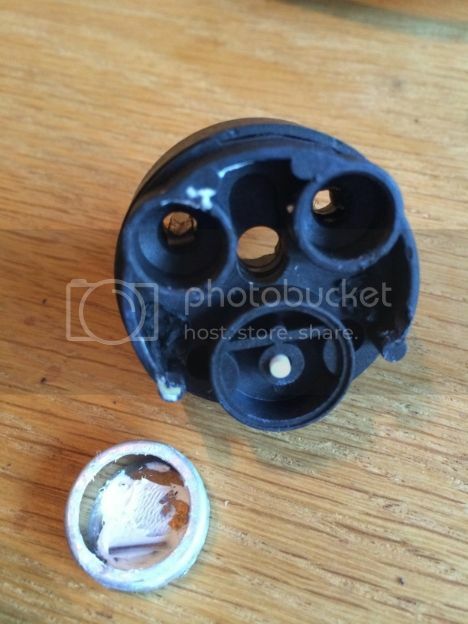 Just to be on the safe side, do you know if it would be ok to use on the hob anyway? It's a ceramic hob if that makes a difference. Mark wrote: Thanks for the how to. I tried this on mine but there was no pin in it. I can only think that it was already removed and perhaps i was sold a second hand one or something. I did this and whilst the plastic element itself was fine, it melted the plastic shroud. Do you mean the part that locks it into place? If so, i've replaced that with a steel backing nut. That was the bit yes, everything else was fine but you may find that the plastic thread on the element will fuse to the metal locking but as it did with the plastic shroud, took a bloody great pair of mole grips and a few choice words to get it off again. Great thanks. Ill angle it so the heat isnt directly under the element, hopefully that might help. Did this on Sunday to mine. Took about 2 mins and now I'll hopefully get a good hot break and a vigorous boil. 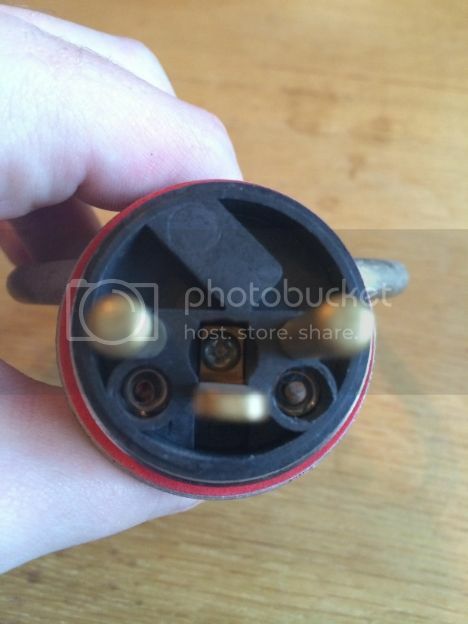 Excellent, just ensure you have a good flow beneath the element as they do tend to get hot once the pin is removed. What's the best way to clean these? I have an ali pot. Green scrubby and elbow grease, do a PBW soak every 3rd or 4th brew. I clean my (kettle) elements with citric acid - buy it in 1kg amounts off fleabay, tip some in, dilute with warm water, leave 5 mins or so, quick brush over with a nylon dish washing brush, and rinse well, job done, nice shiny elements - cheap and easy to do, so I do it after every brew to save any crud building up and being even harder to remove. Many thanks for this guide. 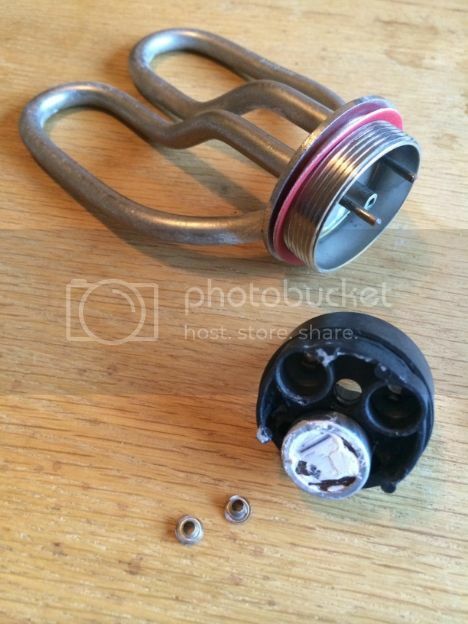 Been having an issue for a while with one element in my kettle cutting out prior to getting to a boil. Spent 2 mins on each element and now a rolling boil achieved with ease !